I am a neurologist, Head of the Movement Disorder Unit of the Neurology Service. Attention to Parkinson's, dystonia and other neurodegenerative diseases has been one of the challenges that attracted me to Neurology. With this vocation I have attended hundreds of patients with a personalized dedication, introducing new treatments and diagnostic means, and carrying out clinical, epidemiological, therapeutic and basic research work; In short, with an innovative, and enthusiastic attitude. I have my degree in Medicine &amp; Surgery at UB and Doctorate in Neuroscience from the UAB, where I am Associate Professor of Medicine at the Faculty of Medicine. I specialized in Neurology, through the MIR system, at the Vall d'Hebron University Hospital. 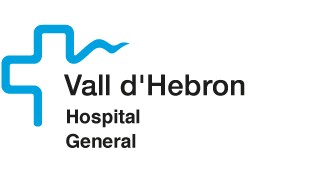 I have been consolidated as a general neurologist at the Hospital de Sabadell Parc Tauli for 10 years. I have specialized in the field of neurodegenerative diseases and movement disorders. Since April 2008 I am the Head of the Movement Disorder Unit of the Hospital. I am a clinical investigator of the VHIR Neurodegenerative Diseases Group. I have been a principal investigator in more than 50 clinical trials and research projects. That have generated numerous publications and scientific communications. I have investigated several clinical aspects of Parkinson's disease and other movement disorders and my main lines of research are the clinical and epidemiology of Parkinson's disease and new treatments for neurodegenerative diseases. I am an expert in botulinum toxin infiltration and have pioneered a complex treatment of Parkinson's disease with a levodopa pump. I have received about twenty awards from scientific societies and I have been distinguished as “Academic corresponent” of the Royal Academy of Medicine of Catalonia.